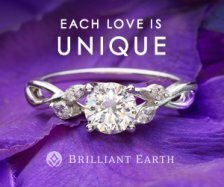 There are a lot of jewelry companies which create gorgeous amethyst wedding rings, but I have a few personal favorites based on the quality of their work, their stellar customer service and their commitment to the environment. 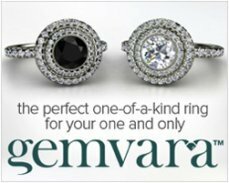 Gemvara is one of my favorite gemstone ring jewelry companies. 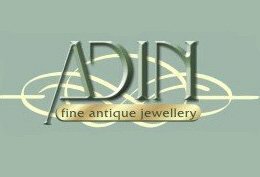 All rings are handmade, and for each design style you can mix & match the features of the ring to choose extra or different gemstones, switch out the metals or add a larger carat gemstone. 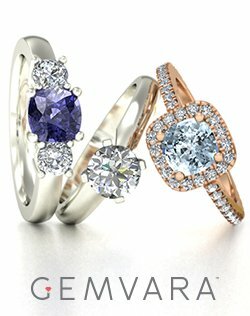 They have a HUGE selection of amethyst wedding and engagement rings in a large range of styles. 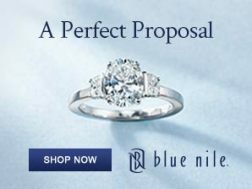 Blue Nile is a magnificent jewelry company - and if you are looking for an amethyst wedding ring with a fancy touch, this is definitely one place to check out. 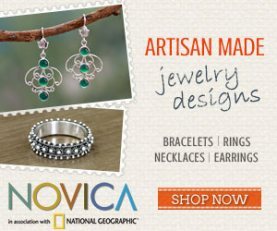 You can also find experienced jewelers who create amethyst rings through Etsy - many of the jewelers here have their own businesses and use environmentally friendly materials to create their rings. 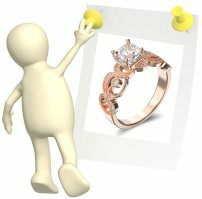 I hope these recommendations will help you to find the perfect ring that you are searching for. Congratulations - and do write to us again if you have any additional questions! 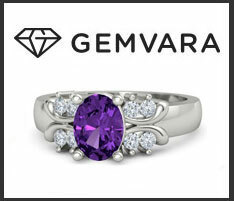 Click here to return to Amethyst Engagement Ring. Value of Amethyst Silver Ring? 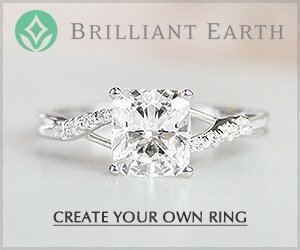 I would like to know how much this ring would be worth. It is a silver ring with 1/10 carat diamond total weight and the amethyst is 7/8 carat. The amethyst is a light purple. It is difficult to say exactly how much a ring like that would be worth. 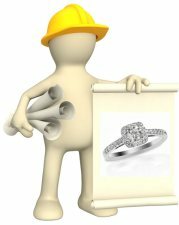 Much of the value would depend on the workmanship of the ring, if the silver is sterling silver – plus the cut and clarity characteristics of the amethyst and the diamonds. Off hand, I would say under $100 dollars – but again, it will depend on the factors that I mentioned. Amethyst is one of the most affordable gemstones, and the value of amethyst is highly dependent on gemstone quality. Darker purple amethysts are valued higher than the lighter purple varieties, and any flaws in the gemstones – either an inner inclusion or an outside blemish – can have a dramatic effect on value. Custom cut amethyst gemstones are also more highly valued than machine cut gemstones. 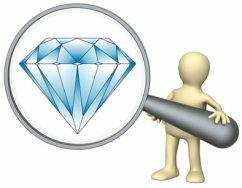 The diamonds themselves do not add much value to the ring, because of their size. 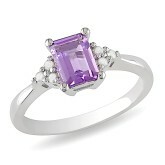 And as with the amethyst gemstone in the ring, any inclusions or blemishes could further reduce their value. 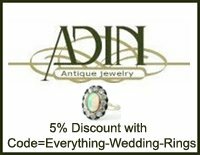 Silver bands are also quite affordable, and most of the value of silver bands too relies on the workmanship of the ring. Because this band is quite simple, the value of the band will be very modest.